Chance The Rapper, Chance's mum and French Montana pose for a photo. 24. 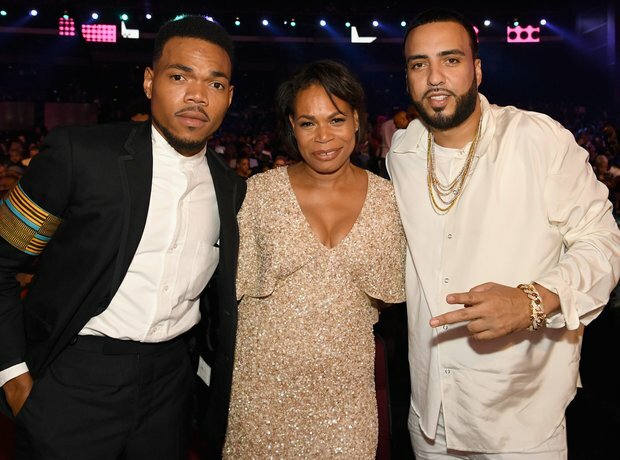 Chance The Rapper, Chance's mum and French Montana pose for a photo.